Harry Nelis is a partner at Accel in London. He has advised three companies through IPO in three geographies (Kayak in New York, Showroomprive in Paris and OFX in Sydney). After their long post-financial-crisis slump, European tech IPOs are starting to rebound. Tech companies raised more money on European public markets between 2015-17 (€5.3 billion) than in the previous seven years combined. With venture capital having boomed in that time, that trend is set to continue: There is a generation of well-funded, fast-growing technology companies now eyeing the public markets as the platform for continued rapid growth. The pipeline is healthy. But what needs to be done to get ready for an IPO and, crucially, what comes next? Money raised and market opportunity alone do not make for a public-company-in-waiting. You do not transform from a scrappy growth business into a tightly governed, transparent public company overnight. It has to be a gradual evolution, one which requires the right people, structures and mindset to be in place. Companies need to ask themselves not just if they want to pursue an IPO, but how exactly they plan to go about it, and how they will prepare for the realities of life as a public company. 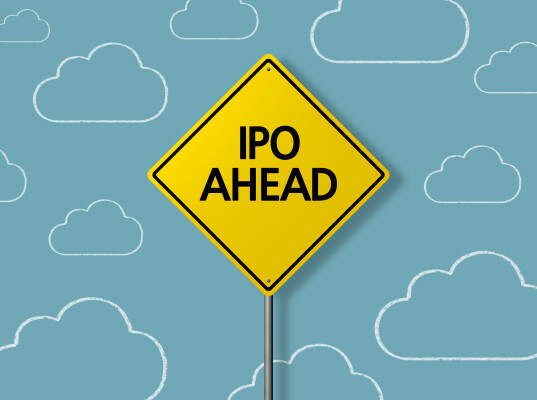 Having advised three companies on their journey to an IPO, across three different geographies, I think there should be at least two years of careful planning between deciding to seek a listing and hearing the bell ring on your market open. You have to start with bringing in the right people. A business can grow a long way on the back of an inspirational founding team, but as an aspiring public company, you need an experienced and high-performing management team as well. Do you have a CFO who has credibility with public market investors? Does the board have enough members with independent authority; will it meet the requirements of those institutional investors who now require a minimum quota of female directors? Ultimately it comes down to one question: Can you start operating like a public company before you become one? Your board will have to grow, not least to fulfill necessary governance functions, from audit to compensation and nomination committees. These are important and often complex hires, which can take anything from six months to a year to put in place. It also takes a while for new board members to start working well together and gain a detailed understanding of the company. The composition of the board is just one area where a private company has to start asking itself new questions as it prepares for a listing. Another is the financial profile of the business and the trade-off between growth and profitability. Will investors give us credit for growing, say, 80 percent year over year? Should we front-load investments and associated losses, or incur them over time when required? The CEO also must think about how she is going to communicate with the market, and whether she needs others around her to give investors the full package. A very visionary and product-focused CEO, for example, will need to be complemented by a brilliant CFO who can handle detailed questions about the company’s finances. A company thinking about going public also needs to evolve its mindset. After an IPO, you will no longer be a tight-knit group of founders, early hires and investors who know the business intimately. The relationship you have known with your private backers is going to bear no relation to the one you will experience with public market investors. As a public company, you are no longer being supportively cheered on, but independently scrutinized by investors who understand the business in less detail and are liable to react strongly to indicators whose significance they can easily misinterpret. In this environment, if you set an ambitious target, you can’t achieve only 95 percent of it and expect to be consoled and encouraged. Institutional investors are going to want to know why you didn’t exceed that target, let alone failed to meet it. Ultimately it comes down to one question: Can you start operating like a public company before you become one? The companies that succeed post-IPO are those that have laid the foundation to make the transition from private to public as seamless as possible. There are rich rewards to be enjoyed on the public markets, but only for those who do the hard work in advance to ease into life as a public company. Europe’s fast-growing tech companies should consider not just whether an IPO is the right option for them, but if they are willing to put in the work that is necessary to make it a success.